ATEM CPR and AED is a combined CPR and AED program designed specifically for laypeople. 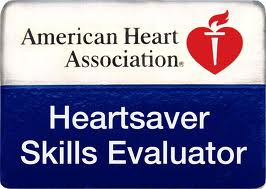 The program is an excellent choice for both the community and workplace setting, and is based upon the 2010 International Consensus on Cardiopulmonary Resuscitation (CPR) and Emergency Cardiovascular Care (ECC) Science with Treatment Recommendations (CoSTR) and other evidence-based treatment recommendations. Access to the videos and tests are sent to student’s email, Immediately….